Gargan v. Palatella Saros Bldrs. Group, Inc., 162 A.D.3d 988 (2d Dep't 2018) (Summary judgment for general contractor against employee of sub-contractor by establishing that the alleged defect was not created by the GC or covered by the Industrial Code). Lang-Salgado v. Mount Sinai Med. Ctr., Inc., 157 A.D.3d 532 (1st Dep't 2018) (Summary judgment for hospital where acts complained of sounded in malpractice, not negligence; and plaintiff's motion to amend complaint denied as proposed causes of action did not relate back to the original allegations). Martinez v. Jewish Home & Hosp., 147 A.D.3d 415 (1st Dep't 20170) (Summary judgment for hospital and nursing home where plaintiff failed to establish a violation of her right of sepulcher). Miranda v. Riverdale Manor Home for Adults, 142 A.D.3d 813 (1st Dept' 2016) (Summary judgment for psychiatrist whose patient sustained injuries after leaving the premises of an "open door" residential facility for disabled adults, by proving that there was no viable alternative facility). Rodriguez v. Heritage Hills Society., Ltd., 141 A.D.3d 482 (1st Dep't 2016]) (Summary judgment denied to co-defendant owner against general contractor as to Labor Law cross-claims where owner did not demonstrate the absence of its negligence, and as to GC obligation to procure insurance where owner failed to prove that it was not insured under GC policy). Baterna v. Maimonides Med. Ctr., 139 A.D.3d 653 (2d Dep't 2016) (Despite plaintiff's amnesia due to TBI from fall, hospital granted summary judgment where it demonstrated that the stairs and handrails were built in accordance with then existing Code provisions). Nepomuceno v. City of NY, 137 A.D.3d 646 (1st Dep't 2016) (Summary judgment granted to hospital against employee who fell on her way to work where she failed to sustain her burden of establishing the unavailability of workers' compensation benefits or insurance). MacDonald v. Beth Israel Med. Ctr., 136 A.D.3d 516 (1st Dept 2016) (Summary judgment for in-house attending physician against patient of private attending that suffered severe post-surgical complications where the functions performed by in-house attending were routine tasks, such as entering orders for blood work, pain control, hydration, and antibiotic administration for plaintiff's post-surgical complications). Torres v. Beth Israel Med. Ctr., 134 A.D.3d 1097 (2d Dep't 2015) (Hospital granted summary judgment for assault committed inside its clinic). See also Ullrich v. Bronx House Community Ctr., 99 A.D.3d 472 (1st Dep't 2012) (Community Center granted summary judgment where plaintiff was assaulted during a basketball game). Ortiz v. City of NY, 129 A.D.3d 611, 612 (1st Dep't 2015) (Hospital granted summary judgment against patient who sustained shoulder injuries during a grand mal seizure where it demonstrated that wrist restraints were necessary, since sedatives were no longer effective, and that there was no evidence that the wrist restraints contributed to her shoulder injuries). Sie v. Maimonides Med. Ctr., 106 A.D.3d 900 (2d Dep't 2013) (Hospital entitled to summary judgment under its "storm-in-progress" defense). Rodriguez v. Mount Sinai Hosp., 96 A.D.3d 534 (1st Dep't 2012) (Hospital entitled to summary judgment on applicable statute of limitations where it proved a "continuous treatment" defense regarding plaintiff's mastectomy. 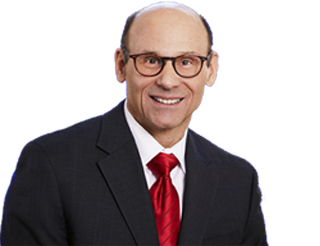 Mr. Wenick joined the firm’s New York City office as Of Counsel in 2018. Previously, as a partner at several New York based law firms, he handled over two hundred cases for hospitals and social service agencies throughout the NYC area. In his career, Frank has argued over one hundred appeals before the New York State Court of Appeals, the Second Circuit Court of Appeals, and the lower New York State Appellate Courts. He was assigned by the Attorney General’s Office to be Trial Counsel for the State’s Insurance Department in Liquidation, Rehabilitation, and other regulatory proceedings. He also served as Bureau Chief for the Claims Bureau of New York’s Attorney General’s Office, where he supervised the preparation of all the Bureau’s high exposure cases before they went to trial. Frank also handled over 50 trials as Assistant Attorney General in the Court of Claims involving wrongful death, highway design and maintenance, false arrest, assault, appropriations and property owner liability.